It’s holiday time! That means searching for all those perfect gifts for family and friends. I love finding special items that will be treasured for years to come. But, sometimes it’s hard to find those one-of-a-kind presents. The key is to do your holiday shopping while traveling during the year or use your travels to influence your shopping. Here are some of the best unique gifts inspired by travel to help you get started. 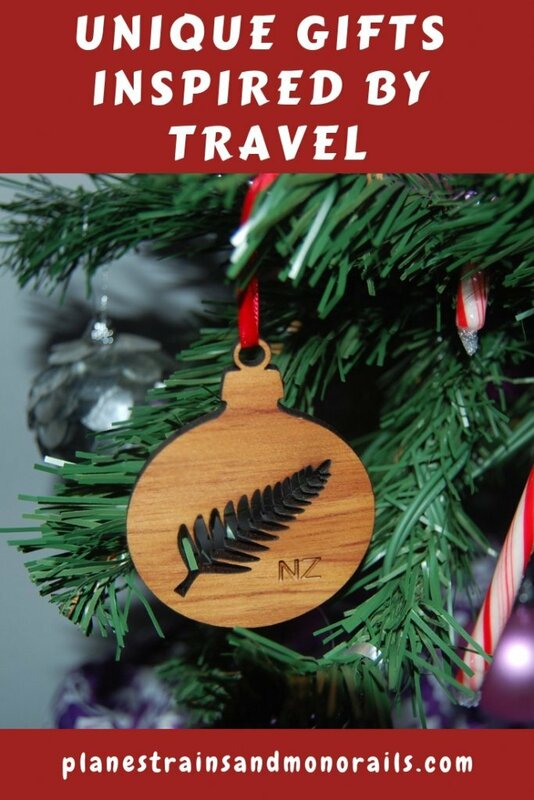 I love travel-inspired Christmas ornaments. They are not only decoration, but they also have a way of sparking memories of past trips. Ornaments are usually easy to find when you are on vacation, and they are small and easy to fit in your suitcase. If you are shopping at home, look for ornaments that will remind the recipient of a recent trip they took or maybe a trip you took together. 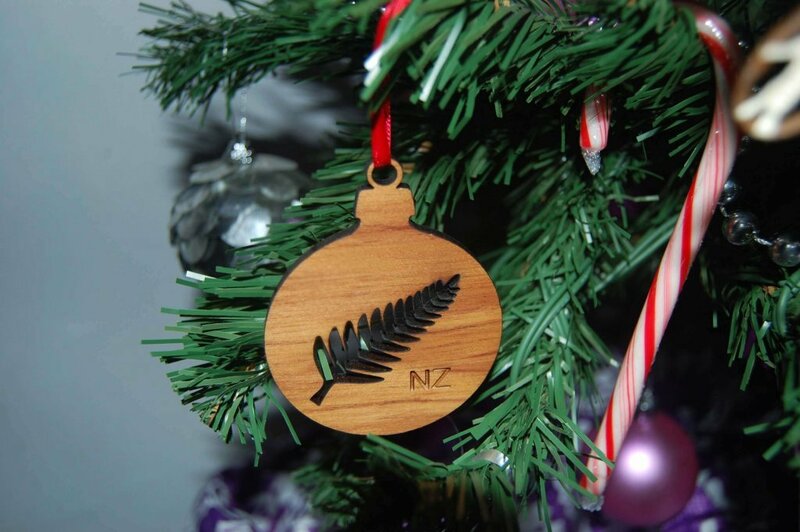 I love this ornament I got in New Zealand. Another great idea for unique gifts inspired by travel is jewelry. Many times, you can find inexpensive handmade jewelry while on vacation. 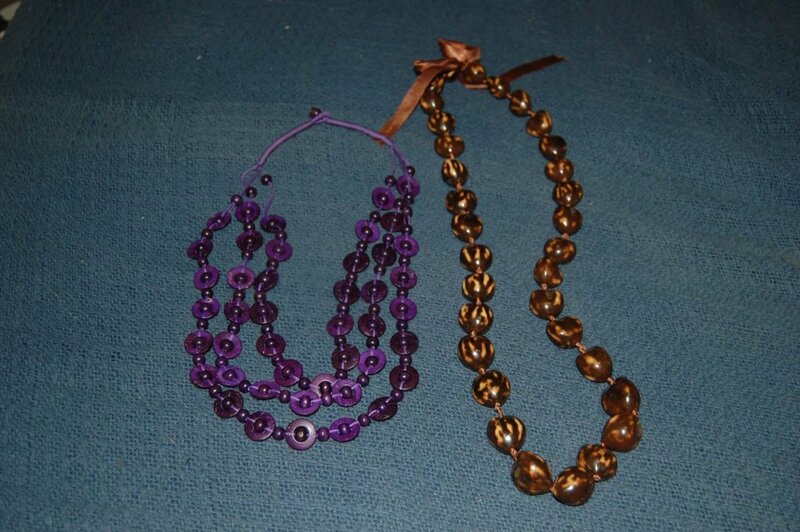 Last year, on a trip to Fiji, I picked up some cute jewelry for my nieces. If you are shopping at home, look for flea or craft markets where you can find some special creations that will remind your loved one of a favorite destination. Also, check out World Market or other globally-inspired stores for travel-inspired jewelry. This is another example of a small gift that makes a big impact. Pick up jewelry on your trips for unique gifts inspired by travel. Artwork is a wonderful way to give the gift of memories. From photographs and posters to sculptures and wood carvings, artwork comes in a huge range of sizes and price ranges. It makes a personal and unique gift inspired by travel that will help remind your loved one of their favorite trips and moments. Have a favorite photograph from a recent trip blown up and framed or order a travel poster featuring a treasured (or desired) destination. 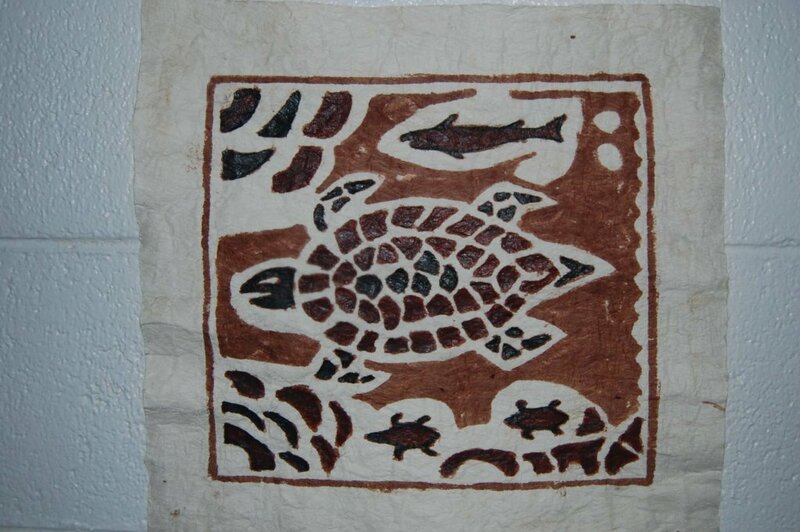 This traditional painted Samoan canvas makes a great travel-inspired gift. For the women in your life, scarves and sarongs make fabulous unique gifts inspired by travel. Whether you are traveling to the South Pacific or Disney World, you can usually find beautiful and affordable scarves or sarongs. Because of their small size, they don’t take up too much space in your suitcase either. Not only are they beautiful, but they are very practical as well. Sarongs, in particular, have a multitude of uses. Try using one as a tablecloth or even as a tree skirt for your Christmas tree. 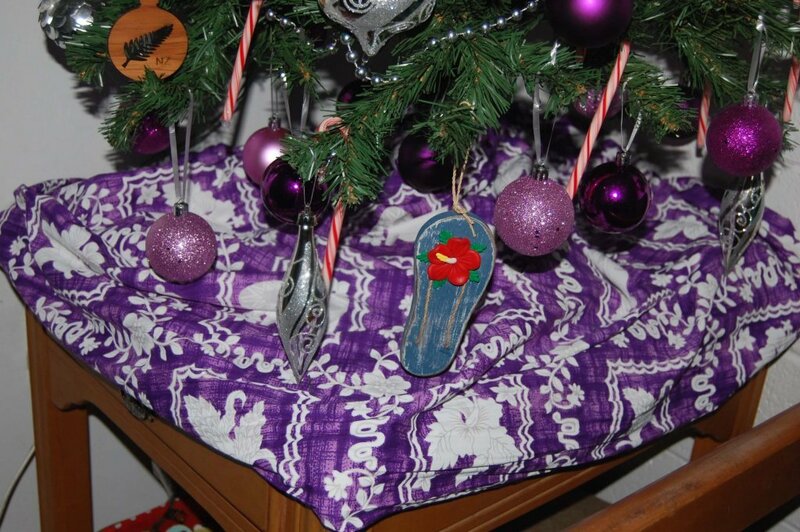 This Samoan sarong I received as a gift makes a colorful tree skirt. If you have a coffee lover or someone who likes to cook on your shopping list, look for spice or coffee blends while you are traveling. These are a great way to bring a taste of your travels home to family and friends. 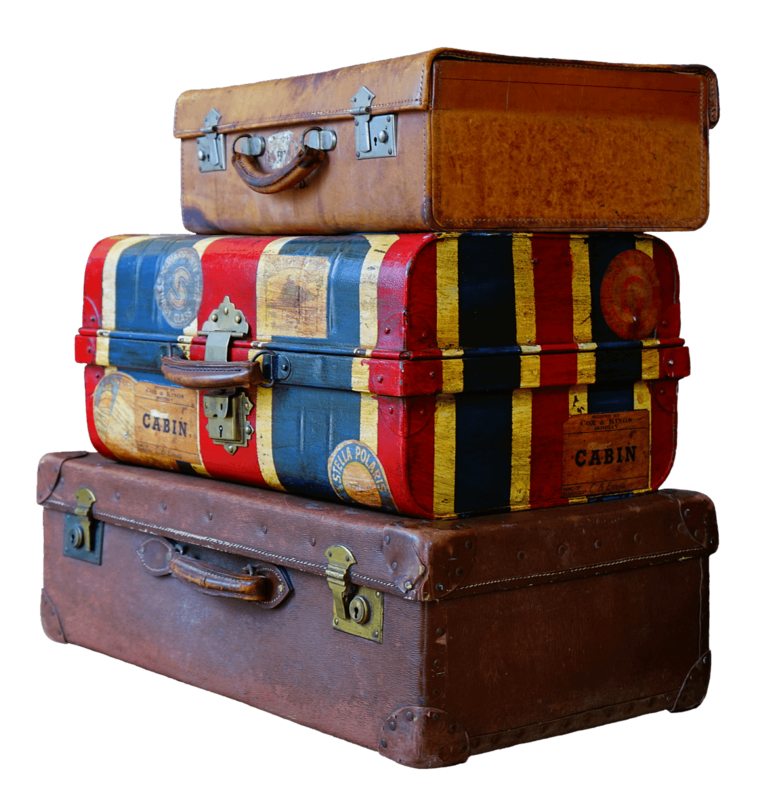 You can usually find small packages or bottles of coffee or spice blends that can be slipped into your suitcase to bring back home. If you are at home and looking for some exotic blends, try World Market for a nice selection. 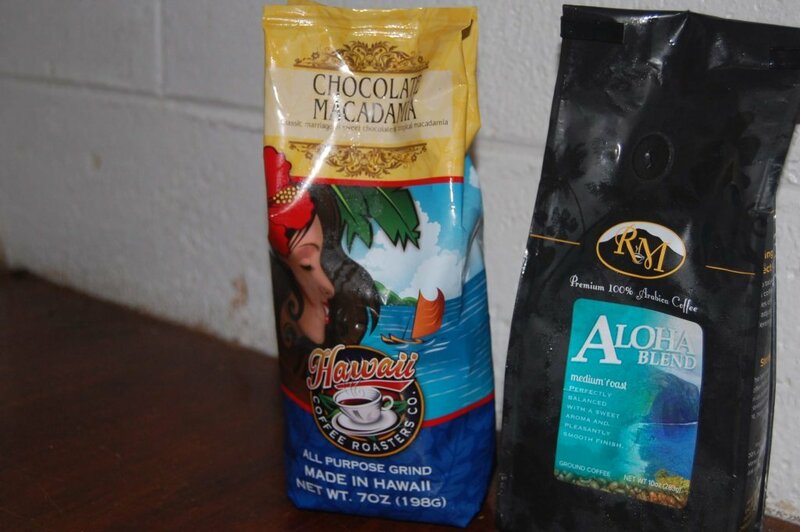 I received these Hawaiian coffee blends as a gift. Another one of my favorite ways to bring a piece of our journey home to friends and family is by buying candy when we travel. Most countries have candy that you just can’t find at home. New Zealand, for instance, has delicious chocolate. If you need to shop before your next trip, check out Amazon’s selection of sweet treats from around the world. World Market also carries candy and other snacks from other countries. 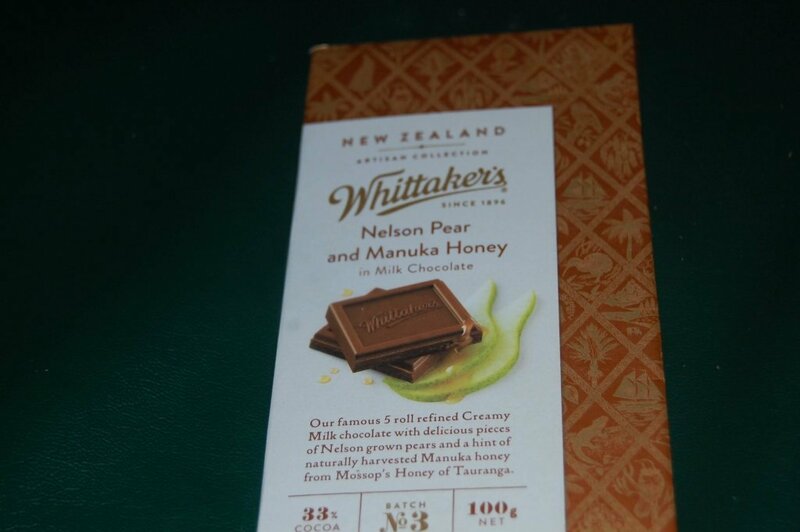 This is one of my favorite chocolates from New Zealand. With a little creativity, you can find unique gifts inspired by travel for everyone on your shopping list this year. By thinking ahead, you can check off a lot of your holiday shopping while traveling yourself. But, you can also find gifts reminiscent of cherished destinations while at home too. For more gift ideas, see my guide to great gifts for travelers, gift ideas for Disney travelers, and how to give the gift of travel. For tips on planning your next adventure, see how to have an amazing vacation on any budget. Do you have ideas for unique gifts inspired by travel? If so, leave them in the comments. Happy travels!